Four years after transplanting its luxury brand to New York City, General Motors has announced Cadillac is coming home to Michigan. 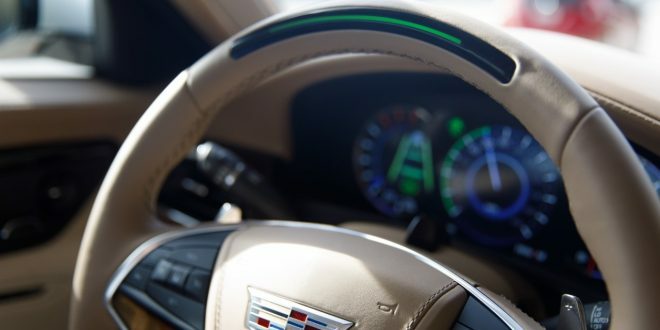 The move is allegedly designed to bring the Cadillac team closer to their design and engineering counterparts. The move to NYC’s trendy SoHo neighborhood for years ago was instituted under Johan de Nysschen; the bold leader of the brand who had ran other luxury auto brands, such as Audi. de Nysschen’s intention was to create a separate business unit with Cadillac; isolating it from the GM mothership for better or worse. Cadillac’s move ultimately yielded many tie-ups with the brand and fashion houses. It also created the Cadillac House; a mixed use space filling up the storefront area of its SoHo headquarters. Given Cadillac’s sales have not consistently climbed since the move, perhaps the argument to move back to Michigan was not a difficult one. Johan de Nysschen was swiftly replaced in April by GM insider Steve Carlisle. Carlisle most recently served as the head of GM Canada. GM says all 110 Cadillac employees currently working in NYC will be offered their jobs in Michigan. Once relocated back to Michigan, the brand will setup shop inside GM’s Warren Tech Center in metro Detroit instead of the company’s Renaissance Center headquarters. I think this is a poor idea. Not because Cadillac should be headquartered in NYC, but because this move will just be one more distraction/disruption for the brand. It's an unnecessary one at that. I never liked this move from the beginning, why be away from all the R&D and everything else happening from your parent company? Different building fine but don't move to a city where no one owns a car.... but it is funny seeing GM fans first praise this move when it happened and now praise this move that they are moving back.